In this blog, I delve into two of the pitches that perked my interest, but did the Dragons have an appetite to invest? Yorkshire-based Daniel Pawson was the first to hook my interest with his salmon skin crisp company, Sea Chips. Daniel worked in a restaurant with his co-founder, Dom, and found that they were wasting fish skins when creating their culinary delights. They developed a process of giving the skins a crispy texture while retaining the nutrients. If you’ve invented a brand-new process for developing a product, it could be worthwhile to consider applying for a patent. A patent can protect innovations like machines, industrial processes, pharmaceuticals and their production methods, computer hardware, electrical appliances and biological products and processes. In this podcast, co-founder of Cauli Rice, Gem Misa talks about how a patent protected her method of product creation. Applying for a patent can be a complex process and isn’t necessarily the right form of intellectual property protection for all business models. You can see whether a patent is right for your invention and what the process is in our step-by-step guide. Another option for chefs with an inventive flair is to protect your creative recipe as a trade secret. Trade secrets can be a notoriously difficult area of IP to manage, but they can offer huge benefits and rewards for a business. Most people have heard of – but do not know the recipe for – KFC’s ‘11 herbs and spices’. You can find out more about how trade secrets can benefit your business in our Irn Bru case study. Fish fanatic Daniel was seeking £30,000 investment from the Dragons for a 10% share in the company. Although Deborah Meaden enjoyed the taste, she felt it was too early in the business stage to shell out and invest. Peter Jones and Tej Lalvani didn’t think the taste was fin-tastic and pulled out. Meanwhile, Jenny Campbell felt seasick at just the thought of a salmon-flavoured product! Touker Suleyman was reeled in by the pitch and offered all the money for a 35% stake in the business. But Daniel didn’t like the idea of Touker mussel-ing in on a large share of the company, and left the Den empty-handed. Did he miss out on a great oppor-tuna-ty? I’m a fan of artisan products. So, when married couple Medwin Culmer and Preyanka Clark Prakash entered the Den with their eco-friendly body and skincare company, I was immediately intrigued. Medwin and Preyanka began creating formulas from their kitchen in Cornwall two years ago and launched their business, Bloomtown. The pair declared to the Dragons that they are “the UK’s first certified palm oil-free company” with no parabens, sulphates and “other nasties”. 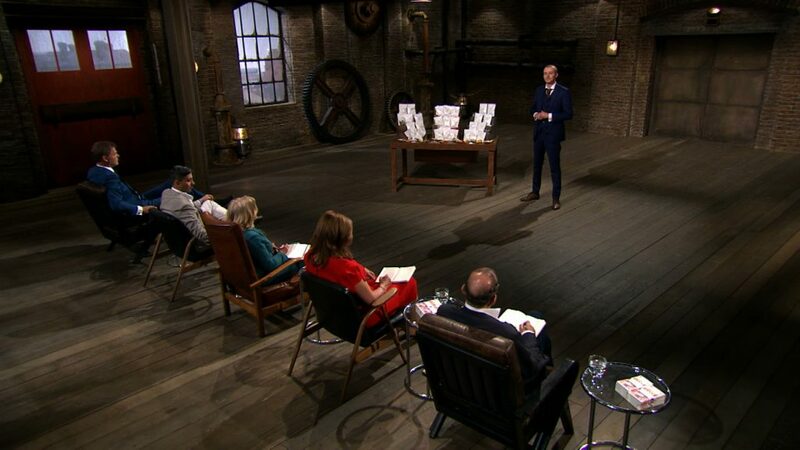 The couple were looking for £70,000 investment from the Dragons for 20% equity in the business. Like me, Touker Suleyman is a fan of artisan creations and was pleased to hear that the couple made the formulas from their kitchen. However, Deborah Meaden was concerned that the company’s selling point – palm oil-free products - is not obvious on the product packaging. Both Deborah and Tej Lalvani agreed that the brand doesn’t communicate the benefits of the product or tell the couple’s story. A brand is a ‘promise of an experience’ and offers consumers assurance about the nature of the product or service they will receive. A trade mark is a crucial component of a brand; it distinguishes the goods and services from one trader to another. It can be a word, phrase or logo, and can even be a shape, colour, sound, aspect of packaging or any combination of these. You can use your trade mark as a marketing tool so that customers can more easily recognise your products or services. Read our case study with Herdy to see how a clear brand and registered trade mark has helped their company grow. Unfortunately, the Dragons weren’t impressed with Bloomtown’s branding and the couple left hand-in-hand but without an investment. Good bye – for now! 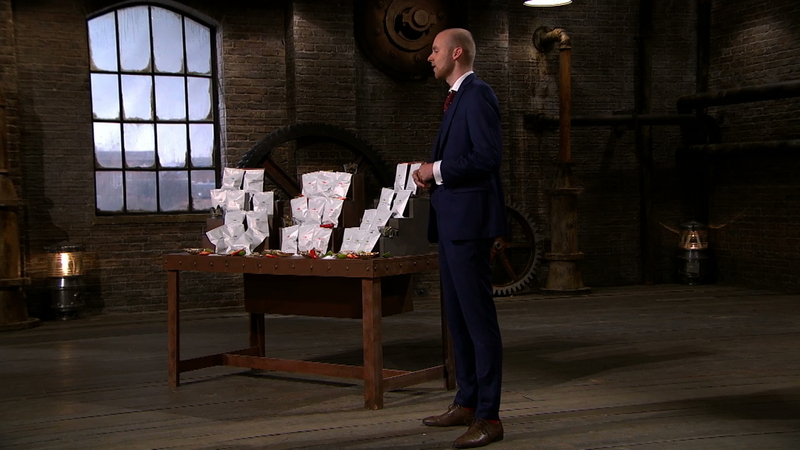 So that’s it for series 16 of Dragons’ Den. I hope you have enjoyed joining us in unpicking the IP behind the business proposals. Who knows, some of the entrepreneurs we’ve seen this series could be next year’s big household names – with IP helping them along the way.